Just before the end of the deadline for Greek players’ transfers between Greek clubs in the Greek league, Panagiotis Vasilopoulos left Aris for AEK. The former player of Olympiacos and PAOK and also co-captain of the Greek national team, will finish the season in Athens as it was reported yesterday. Today is the last day that the transfer was permitted according to the bylaws of the Greek league. 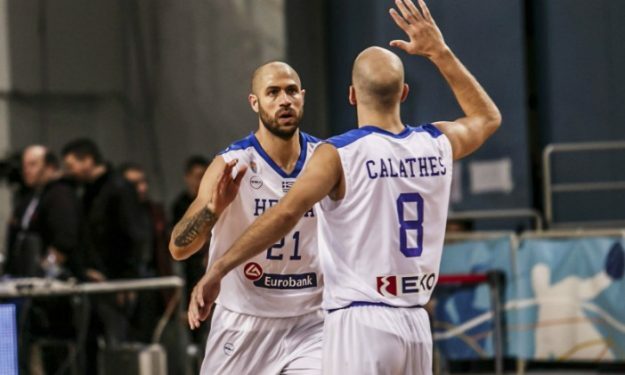 The veteran Greek forward will be eligible for playing in the upcoming Basketball Champions League game against French side Strasbourg, Tuesday (23/1). In 12 Greek League games with Aris, Vassilopoulos scored 7.8 points, 5.8 rebounds, and 1.8 assists per match. He averaged 8.9 points and 5.5 rebounds in the Basketball Champions League.